Rich. Creamy. Chocolaty. 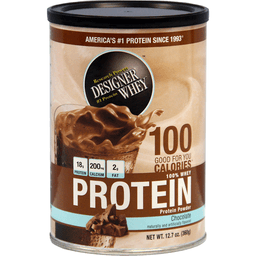 Designer Whey Gourmet Chocolate Protein Powder is made to taste like dessert, but specially formulated to work hard like a protein powder should. Made with natural 100% premium whey and naturally sweetened - all for 100 good-for-you calories per serving, treat yourself to a glass before you go to sleep and after you wake up to help reduce body fat and increase muscle tone. Or, try it during your workouts to push yourself further and recover faster. Getting in shape never tasted so good. -Great Taste - Smooth and delicious. ChefsBest Excellence Award - Awareded to brands that surpass quality standards estabilished by independent professional chefs. 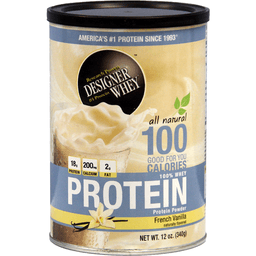 -18g of Protein - 36% of your daily protein per serving - the right amount for your active lifestyle, yet easy on your digestive system. -100 Good For You Calories per serving. -100% Premium Natural Whey Protein - Our whey is pure so your body quickly absorbs it for maximum post-workout recovery and nutrition. 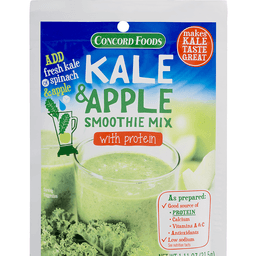 A complete protein with the right balance of amino acids that help your immune system. -100 Good For You Calories per serving. -3g Prebiotic Fiber - Good source of fiber for digestive health. -Essential Vitamins and Minerals - Excellent source of calcium, vitamin D and B-Vitamins.